Roarrrrrrrrrrrr…….said the Fire-Breathing Dragon………….as he anxiously awaits the rest of his neck and body…. 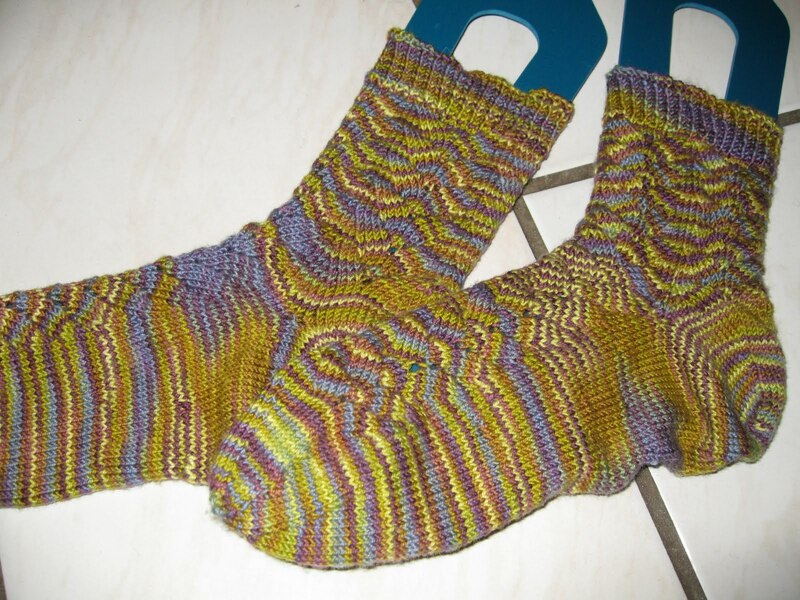 Finished Objects–two pair of toe-up, no-purl Monkeys. 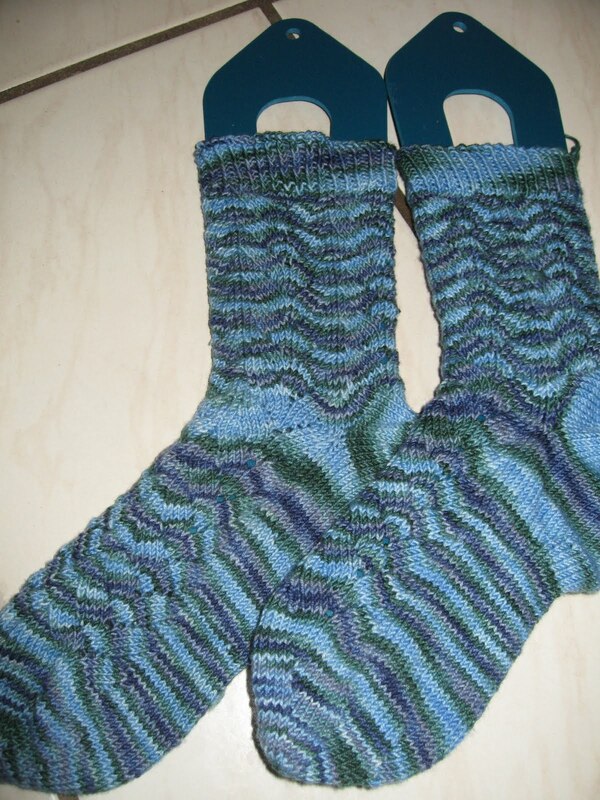 Bella Coola blue for my mom, Tide Pooling for Karen, our neighbor in Show Low, both are STR lightweight. We are knitting this Sunday, noon at Shirley’s in the Dunes, 3378 S. 16th Avenue, 344-2283. Call if you can’t find it, my cell is 550-0182. Bring a salad. I am bringing a Chopped Salad ala California Pizza Kitchen. We are celebrating two women that we should all admire for having their priorities in order and following their hearts. I am a better person for knowing them and you probably are too. DeeDee leaves Monday morning, and I hope Linda will still be here. Come sit and knit and celebrate our friendship! Hi! 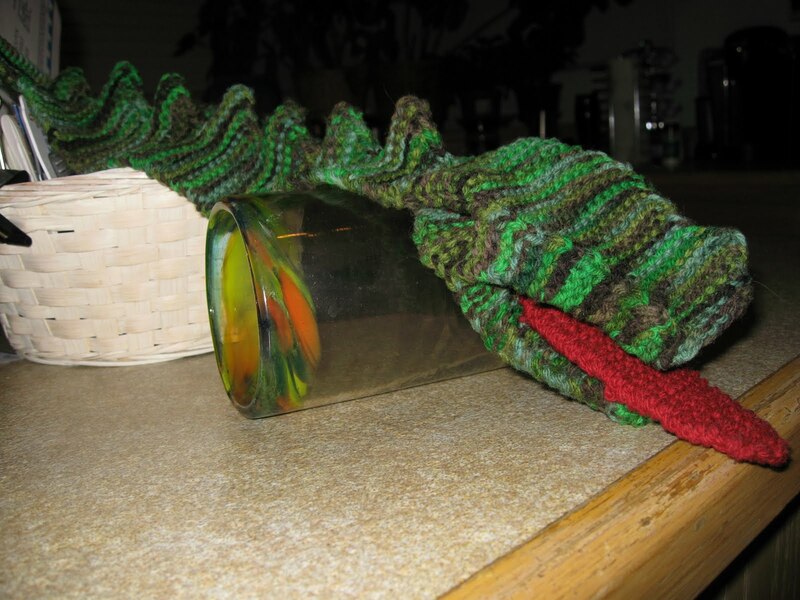 I just popped in to tell you that I love all the knitting on your blog! I'm in the Yuma Yarnies group and found you there. Beautiful stuff and I'm ever so jealous about your Quivut (I think I spelled that wrong..)! Can't wait to see what you'll be working on next!